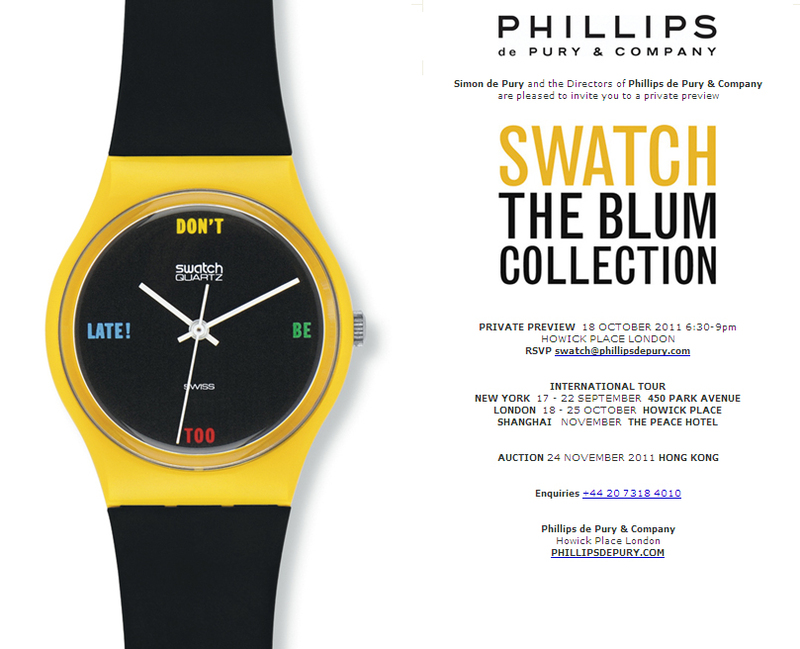 Tonight I'm going to the exhibiton opening of Phillips de Pury & Company's collection of SWATCH watches which has been touring the world before it ends up on auction in Hong Kong next month. One of the most complete collections of its kind, there are more than 4,350 items including rare prototypes, hybrids and production variants never offered for sale. 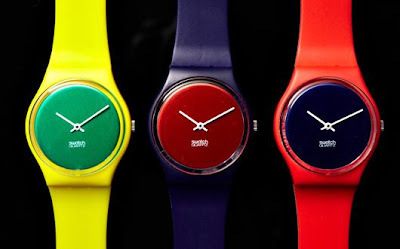 "When the Swatch was introduced in 1983 it was a revolutionary concept and an instant success. Today, 28 years since its introduction, Swatch continues to be a vibrant, cool, fun watch and fashion accessory and is an important part of the cultural history of our times. Despite its numerous fans around the world, nobody, including Swatch, had succeeded in amassing the ultimate, most comprehensive collection of Swatches including all special editions and countless prototypes than the late Mr. Peter Blum." Simon de Pury, Chairman Phillips de Pury & Company. American painter Keith Haring’s collaboration is represented in the collection by a set of his four Swatch models released in the United States along with the first ever model (of only 120 pieces produced), the Swatch Puff design and artworks from the archives including works by Vivienne Westwood. A must for watch and jewellery fans, 80s enthusiasts and lovers of iconic design.